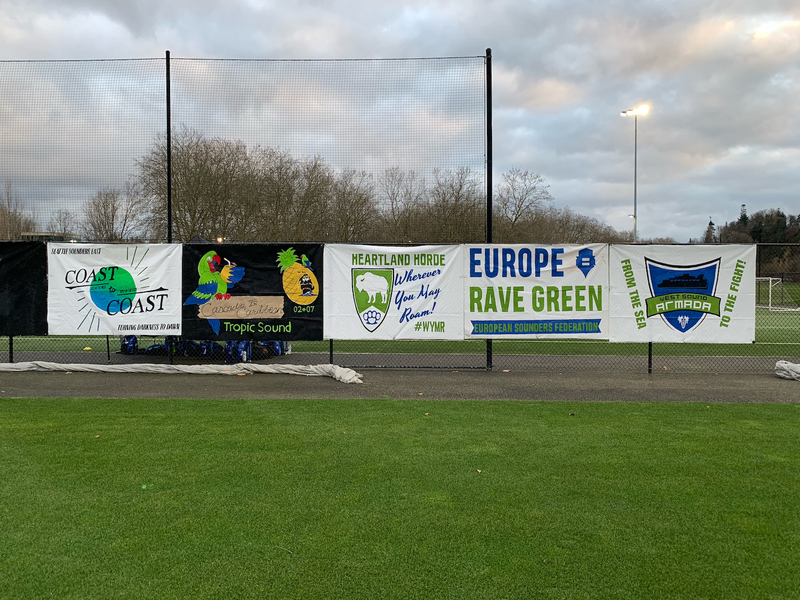 Since the establishment of Seattle Sounders FC in the MLS era, ECS has blazed its own paths to support home and away, while observing and learning from those before us. And in recent years, ECS members near and far have experienced a wide array of treatment and behavior from front offices, opposing supporter groups, and other entities involved in matchday. During that time, if there’s one constant observation, it’s the consistency of inconsistency. That’s not to say there aren’t quality efforts from front offices and the league. 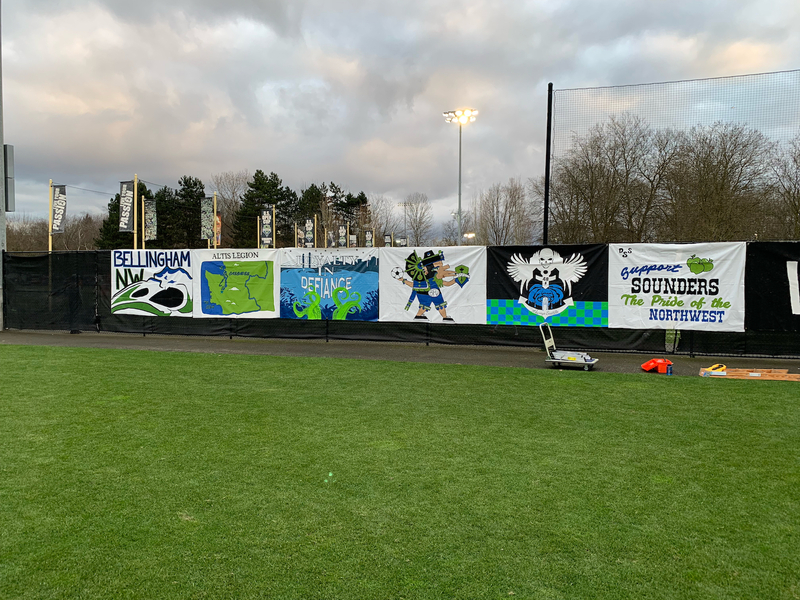 Our beloved Sounders have made strong efforts to keep away supporter treatment consistent – from tifo exemptions to ticket pricing – and continue to try and work with their compatriots to create similar experiences elsewhere. All that said, we must address some of the language in the latest iteration of the MLS Fan Code of Conduct, as issued on March 1, 2019. To start, the league’s own statement says that it has a “transparent, consistent set of sanctions,” but we’ve also been given guidance that not all uses of “consistent” are created equal. Most prominently, we want to call attention to the wickedly general use of the word “political,” as observed by the 107ist board of directors and many other supporters. After multiple members were ejected from BC Place during the 2017 Western Conference Semifinals for defending another member’s previously utilized personal two pole with the language “Anti-Fascist, Anti-Racist, Always Seattle”, Sounders FC ownership released a statement – signed by all four owners – enforcing our position that this was not a political statement. Beyond that, we were informed that this particular two-pole would be allowed in our sections afterward, and that the club did not believe that being anti-fascist or anti-racist was political. We stand by this understanding and see no reason why that position should change between 2017 and today. The league, however, seems to disagree. Or at least appears comfortable with inconsistency and grey areas. In our pre-season meeting with the club where they gave us a preview of this document, we were told that the decision of what was political would be decided by individual clubs, and that each club would enforce that decision for their own home venues. Furthermore, we were told that behavior outside of the event would be subject to this code of conduct, another topic with a lot of possibility for significant variance and interpretation. And yet, the league has chosen to turn a blind eye towards known neo-nazis and fascists. Our position is simple: Standing up for human rights is not political. Defending marginalized people is not a political issue. As an organization, the Emerald City Supporters has never endorsed political parties or candidates; that isn’t our purpose for being. 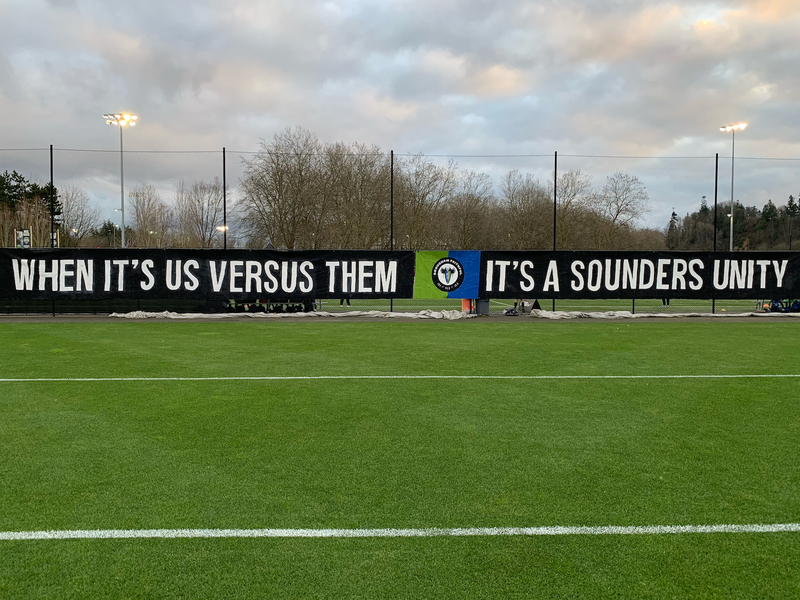 What is part of our focus is the creation and protection of an atmosphere within the Sounders community that celebrates the diversity of our members, our team, and our city. Our strength is unity, and we will continue to stand opposed to those who would work to undo that foundation. We stand with those who support these core values. ECS looks forward to responses from MLS and its member clubs and believes this is an opportunity to find a position that supporters, players, and ownership alike can align on. We truly stand on the shoulders of a giant. For eight years, Sigi Schmid built our team, our expectations, and helped forge the club we are today. He taught us to strive to be the very best, that we go for every win, that we compete for every trophy, that we always go all in. Who we are, because of you. Thank you for your stewardship, Sigi. You are missed but will never be forgotten. 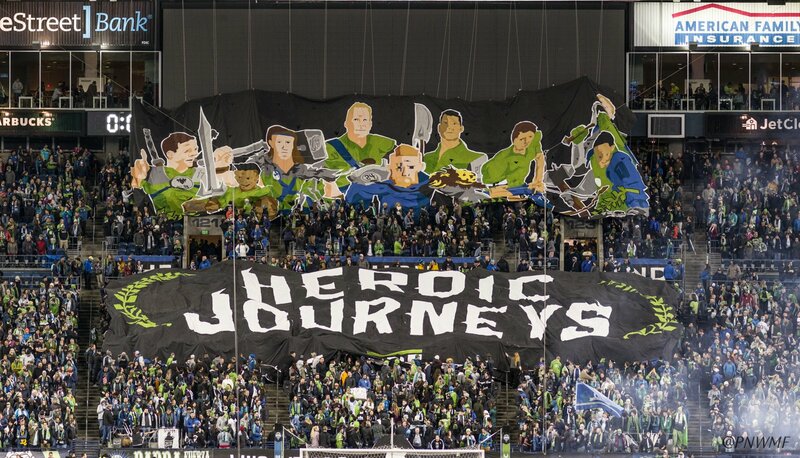 The Sounders warriors set out today on the heroic journey of the 2019 season. Over the next 9 months, they will fight for our city, our people and our crest, home or away, hot or cold, rain or shine. On the front curtain of this display, we depicted 9 of our warriors dressed for this journey that started on March 2nd and won’t end until November 10th. But heroic journeys are never taken alone. 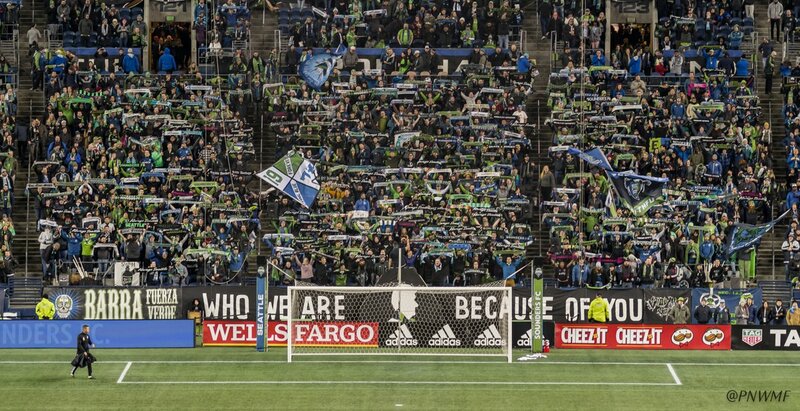 Wherever the Sounders go, we are behind them. On Wednesdays in Montreal and the Houston heat in July, the Emerald City Supporters will be there, joining our warriors. Our supporters bring something different to the battle, an intangible, immeasurable, element that can only be felt and not understood. On the back curtain, we showed supporters marching into battle with our warriors. When we stand together, our enemies will fall before us. When the front curtain was struck, it revealed the bottom of the back curtain covered in our fallen enemies. This display was a massive undertaking, with a detailed design and 2 curtains to rig and deploy. Over 30 volunteers spent over 600 hours designing, sewing and painting this display, overcoming the epic snowmageddon to finish it. 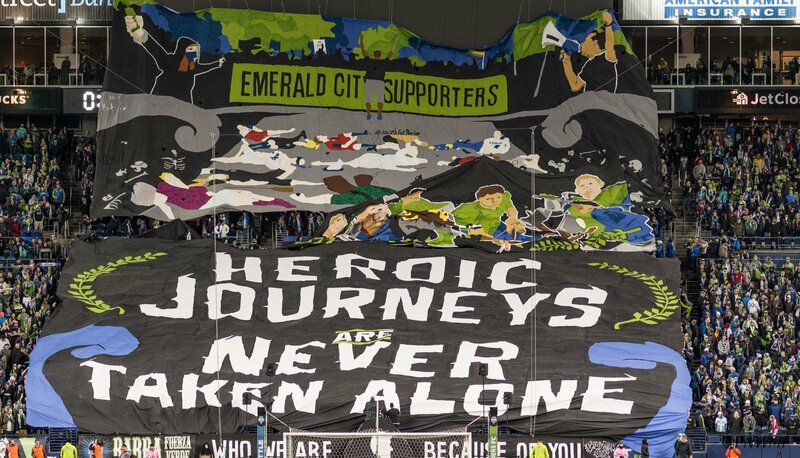 Join us in our next projects so we can continue to raise the bar for tifo in North America! ECS members can get more information and sign-up to help HERE, and follow ECSTifo on twitter for updates! For Seattle! For Sounders! Forever! 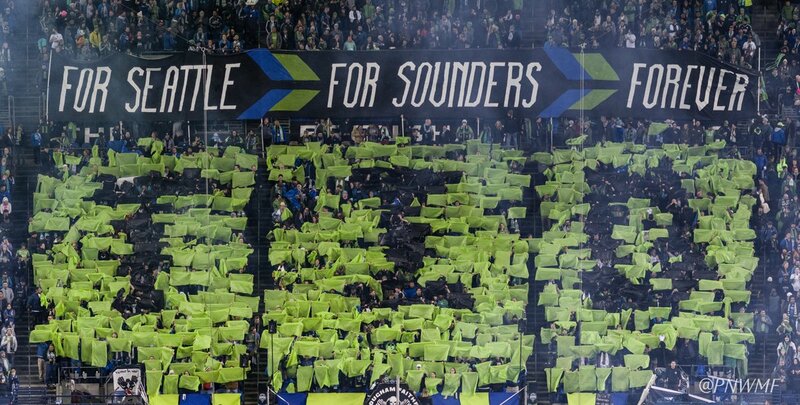 Regardless of results, the play on the field, the weather or car shows, we give our all FOR SEATTLE, FOR SOUNDERS, FOREVER. 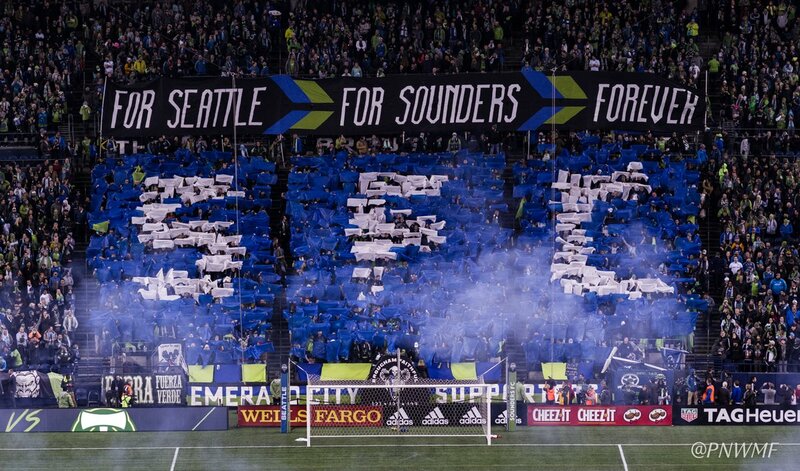 We’re Sounders Til We Die. 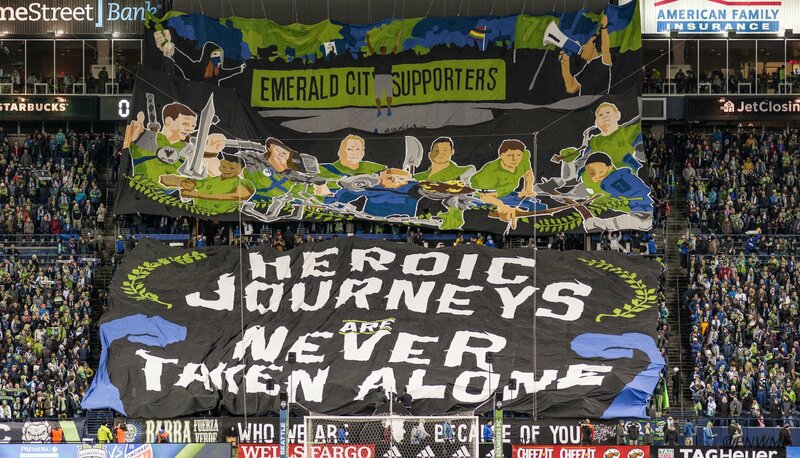 We are Emerald City Supporters. This display includes a 10’ x 100’ text banner and about 2400 cards spread across 3 sections. Each seat in the GA section had 2 cards, the biggest card switch we’ve done AND WE SWITCHED IT TWICE! We’re excited to continue to do new and bigger displays like this, and we need YOU to help! Please join us at our upcoming sessions, you can sign up HERE to get emails of when that will be!